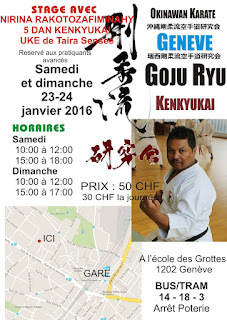 At the request of Hugo Cuneo sensei with the permission of Taira sensei, I gave as usual a seminar in Geneva Switzerland. 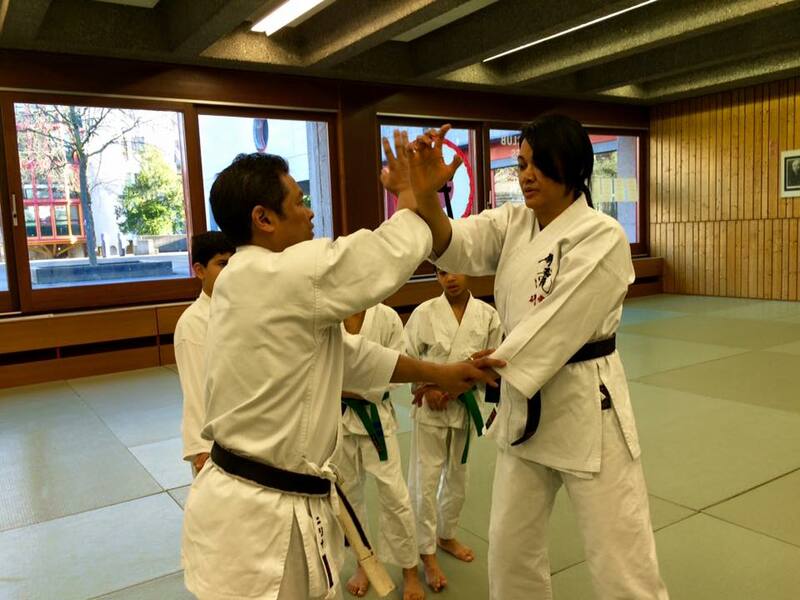 I decided to teach renzuku bunkai in their basic version from the beginning to the end of some katas (sepai, kururunfa and suparimpei). I chose to teach bunkai because I noticed every time I attend Taira sensei seminar that many Kenkyukai members didn't know the renzuku bunkai of most of the katas and this lack of knowledge prevents the proper conduct of Taira sensei seminar. I was lucky, Vero was with me to teach beginners and children. 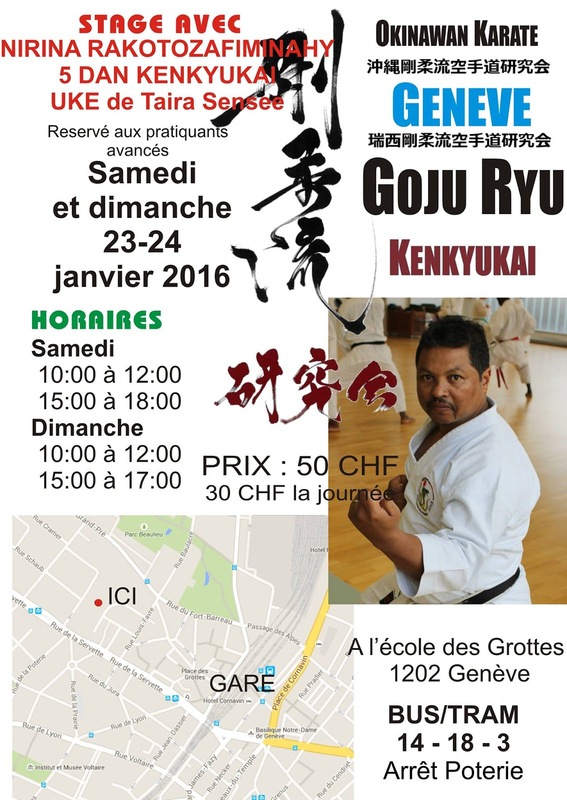 Big thanks to Hugo Cuneo sensei and his wife and all his students’ from kenkyukai Geneve Switzerland.